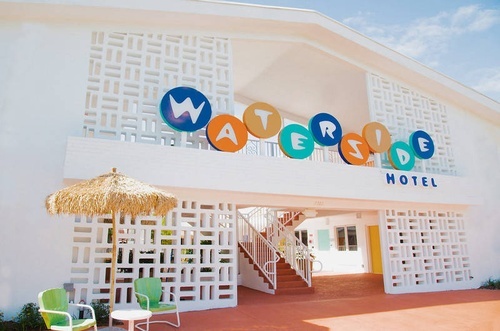 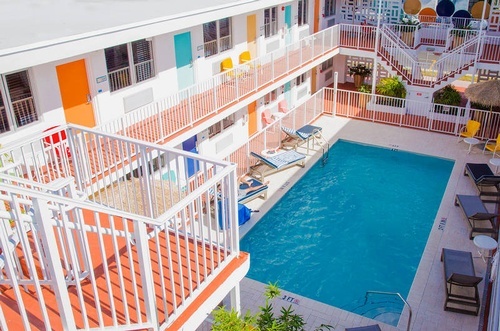 Brand new ''Retro-Chic'' Apartment Hotel located in Miami Beach steps from the ocean. 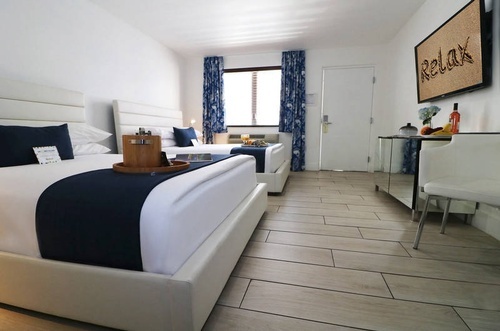 Cozy and nicely furnished accommodation in soft, earthy tones are ideal for a welcoming beach getaway. 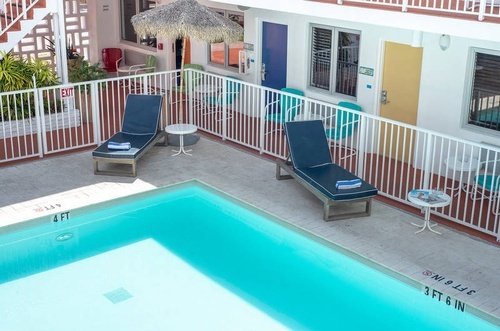 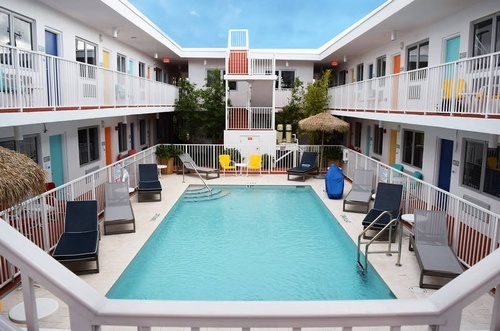 Waterside boutique apartment hotel has a beautiful pool and is a perfect alternative to nearby South Beach, Ideal for families and extended stays.